This is an awesome set of 8 digital paper backgrounds (12x12 300DPI) created by Daydrifter Digital. 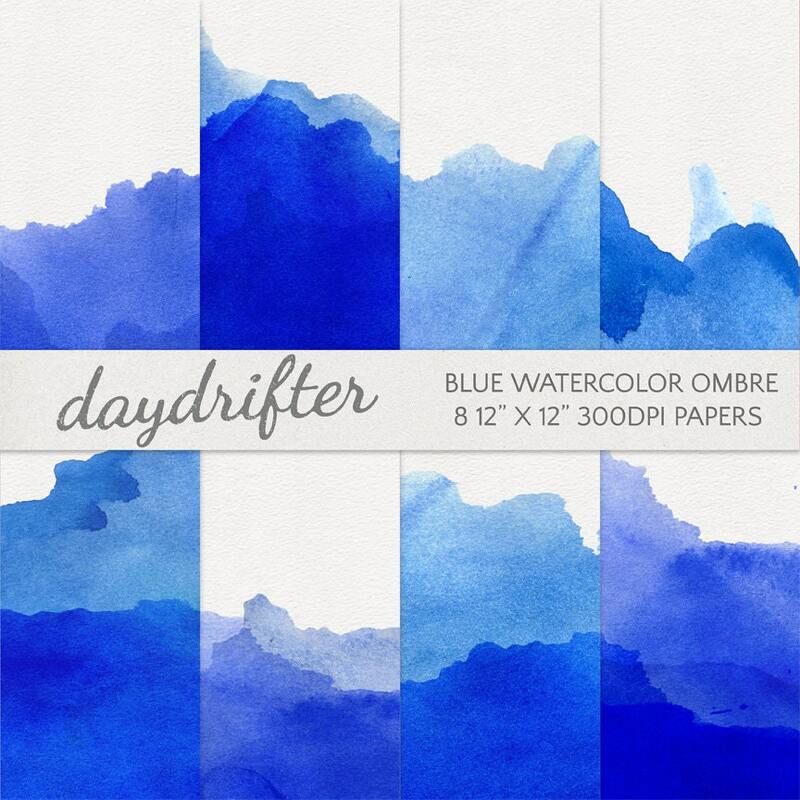 The set has 8 ombre gradient dip-dye papers in shades of blue with a watercolor paper texture. Use them for your digital scrapbooking pages or print them to use in your commercial projects. This set includes 8 high-resolution (300ppi) 12"x12" papers in JPG format. Very beautiful. Easy to download.